Chicago, the "windy city," was once again living up to its name. Temperatures near freezing forced the amblers in Millennium Park to pull their bonnets down over their ears and their scarves across their faces. Vapour steaming out of chimneys high above the city was clearly outlined against the crisp blue sky. No cloud troubled the view that Saturday morning. Not outside, anyway! A few minutes' walk north to the majestic Hyatt Regency Hotel, however, and grim clouds overshadowed this year's assembly of the American Association for the Advancement of Science (AAAS). In the Grand Ballroom, Stanford researcher Christopher Field was reporting that greenhouse gas emissions from 2000 to 2007 had been underestimated. "There is a real risk that human-caused climate change will accelerate the release of carbon dioxide from forest and tundra ecosystems, which have been storing a lot of carbon for thousands of years." Professor Field, one of the authors of a 2007 landmark report on climate change, said future temperatures "will be beyond anything predicted." The Intergovernmental Panel on Climate Change (IPCC) report had underestimated the rate of change, Field stated. The report predicted temperature rises between 1.1 °C and 6.4 °C over the next century. He said fresh data showed greenhouse gas emissions between 2000 and 2007 increased far more rapidly than expected. "We are basically looking now at a future climate that is beyond anything that we've considered seriously in climate policy." Most scientists view what is happening now in the Arctic as a harbinger of things to come. Average temperatures in the Arctic region are rising twice as fast as they are elsewhere in the world. Arctic ice is getting thinner, melting and rupturing. Images from NASA satellites show that the area of permanent ice cover is contracting at a rate of 9 percent each decade. If this trend continues, summers in the Arctic could soon become ice-free. How soon this will happen is the question dividing the scientific community. But all agree that the Arctic summer ice shield will disappear before the end of the century. "We haven't got much time left; we have to act now," Field urged. His appeal was reiterated by Al Gore later the same day. 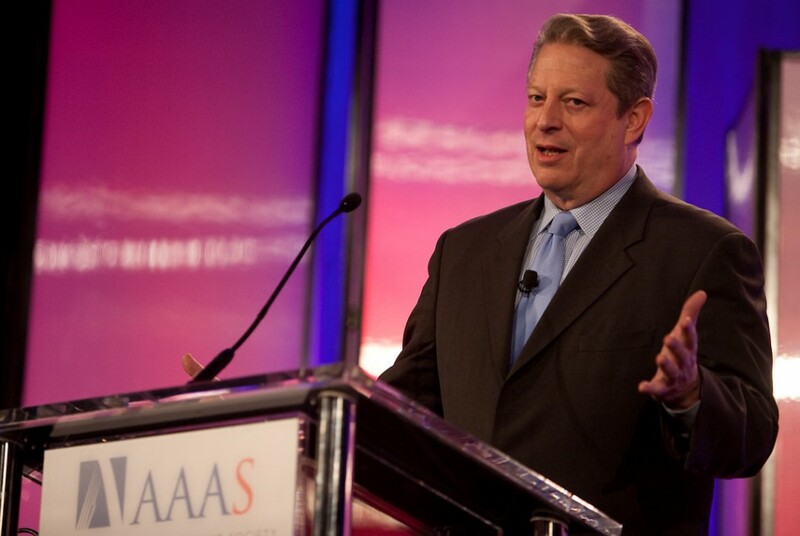 Gore called on scientists to help convey a sense of urgency about climate change to policy makers and the public. "Our world is in danger. We need you!"